But it’s not to bodybuilders that this article is really addressed—it’s for lifters out there who want to be as big and strong as possible on all of the core lifts: squats, power cleans, deadlifts, bench presses, overhead presses in all of their varieties, etc. It could be that you feel as if you are a “hardgainer” because you’ve tried both forms of lifting, lots of sets performed frequently and minimalist training performed hard-as-hell, and you’re still not getting the gains that you think should be coming your way. 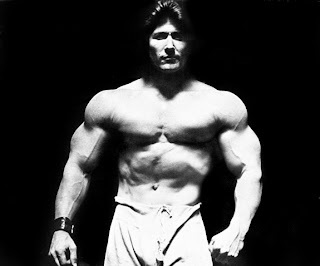 If Mike Mentzer, and Arthur Jones before him, were responsible for the “high intensity” attitude among bodybuilders, then I suppose you could blame the same hardgainer-mentality-for-lifters on Brooks Kubrik and Ken Leistner before him. (Let me add right now that I have the utmost respect for both of these guys, but I don’t think that some of their training—as in all of Leistner’s stuff and Kubrik’s early stuff; he seems to have retreated from some of his H.I.T.-style training as he ages—is all that effective for a lot of lifters.) Kubrik’s “Dinosaur Training” book was a huge influence on me around 1996 or 1997—I can’t really remember the exact year—but mainly for its emphasis on heavy singles training, multiple sets of low reps workouts, and odd lifts. I got the best results from this kind of training, however, when I got away from the 2-days-per-week training and the high-rep “death sets” (both of which Kubrik recommended), and instead started lifting 4 and 5 days per week using many of the same principles but not “all-out”. I’ve been pushing HFT (high-frequency training) for several years now, and it’s become rather popular among a lot of lifters and trainers—at least the ones that are “in the know”; it’s still not very well-known or used by the average gym rat. But this kind of training is nothing new. 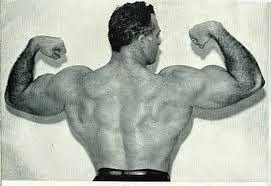 Part of what made Kubrik’s “Dinosaur Training” so fascinating was his interest in and discussion of the “old-time” lifters—men such as John Grimek, Arthur Saxon, and Herman Goerner (he of the famous 727 lb one-arm deadlift), to name a few. But the more you read about the training of the old-timers, the more you realize that they were emphatically not followers of H.I.T. principles. They trained very frequently, as in every day, only taking a day off when they felt as if they really needed it. Their training, if anything, would be more “grease-the-groove” than H.I.T. If you are going to train frequently, then it’s best to not train to failure—or even close—the majority of your workouts. Goerner once said that it’s best to be progressive in adding weight to your sets, but to “never, ever” train to your absolute limit. And Grimek said that he never strained himself while training, even though he could still squat over 600 lbs in his 70s, and had 19-inch arms in his prime! As for what this kind of training actually looks like when it’s put into practice, I don’t think you can go wrong with my “30 Rep Program.” It’s at least a good place to start until you can be more “instinctive” in your training. Let me say right off the bat that, first, I don’t believe in “hargainers”. I think it’s a load of crap (for the most part), and, second, the title of this article is an homage to Bill Starr, who wrote an article by the same name many years ago in Iron Man magazine. In case you haven’t noticed—not just in this post, but in many others—I have little regard for Mike Mentzer. His early training was actually pretty good, and nothing like the foolish crap he started recommending in the late ‘90s and early ‘00s. But my disdain for him has much more to do with his indoctrination of “objectivism”—and his subsequent “pushing” of this philosophy that he espoused in his articles. Objectivism is the philosophy of the god-awful “philosopher” Ayn Rand. Unfortunately, this “philosophy” has enjoyed something of a comeback in recent years, mainly due to the love Rand gets from the Tea Party, and other such neo-libertarians. If you are a follower of any philosophy that espouses such beliefs as love, compassion for your fellow man, humility, and kindness, then you should stay the hell away from Ayn Rand at all costs.